Clean, contemporary and oh so chic! 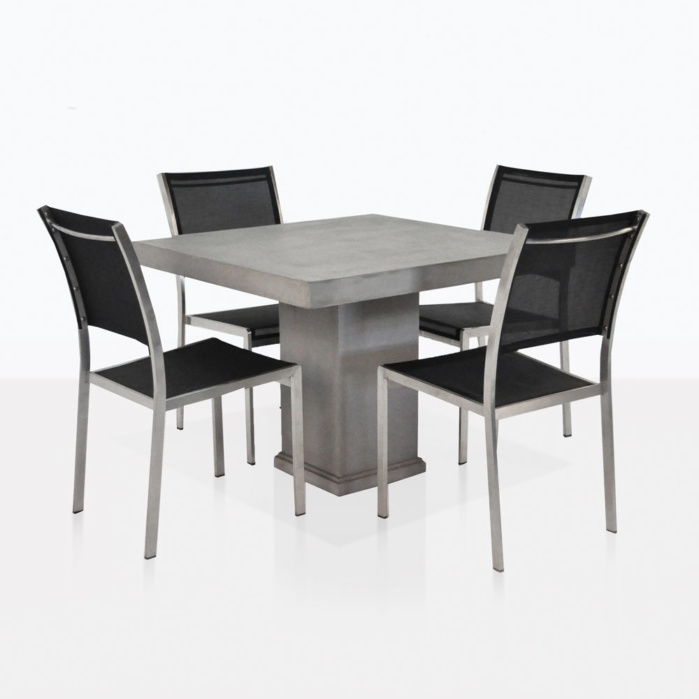 The 39″ Raw Concrete Pedestal Table & 4 Batyline Chairs Set is a fabulous combination of rustic and modern materials resulting in a look that is state of the art. 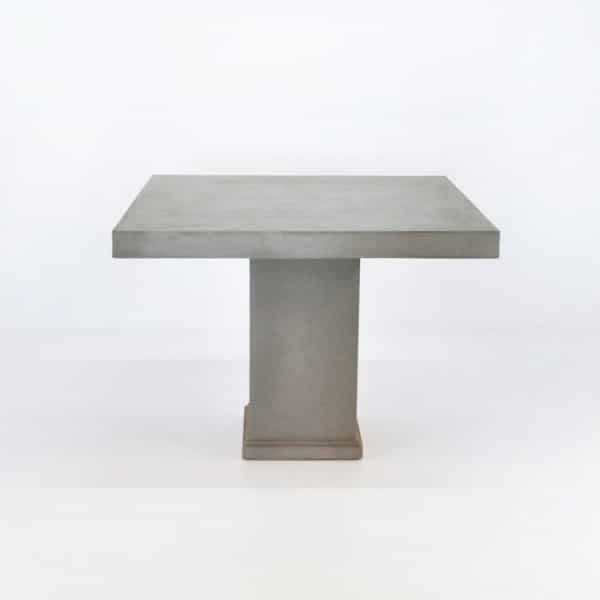 Whether in a smaller outdoor spaces or cafes, we carry this classic square Raw Concrete Pedestal Table which seats up to 4 people and can be combined with concrete stools, or teak and wicker for a more eclectic look. This concrete pedestal table set includes 4 Classic Batyline® Stacking Chairs which are stackable and the the frame is made out of #316 marine grade stainless steel. The Raw Concrete Pedestal Table is made of a concrete composite, including fiberglass and resin, so even though it looks, feels and behaves like concrete, it is much lighter and much more durable! 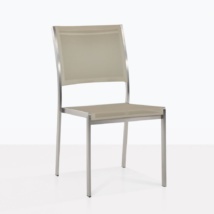 This table is an easy choice to spice up your garden, patio, porch or even indoors! At a succinct 39 inches squared, this table is an ideal size to suit many occasions. 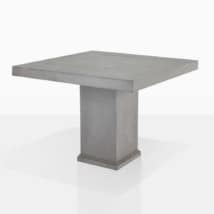 The Raw Concrete Dining Tables design is simple and classic, with the material bringing it into present day. A lovely thick tabletop and a pedestal base makes for an style that fits anywhere! The 4 Classic Batyline® Stacking Chairs are available in your choice of black, taupe or white, so you may choose the look that works best in your space! 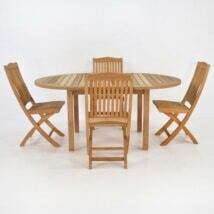 At Teak Warehouse, our sales staff are experts in composition. So, if you have a question or need some more ideas, feel free to give us a call on the 1-800 number. We are happy to help you with all your furniture needs!